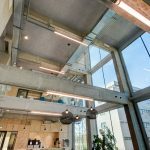 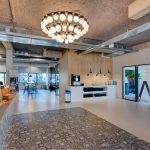 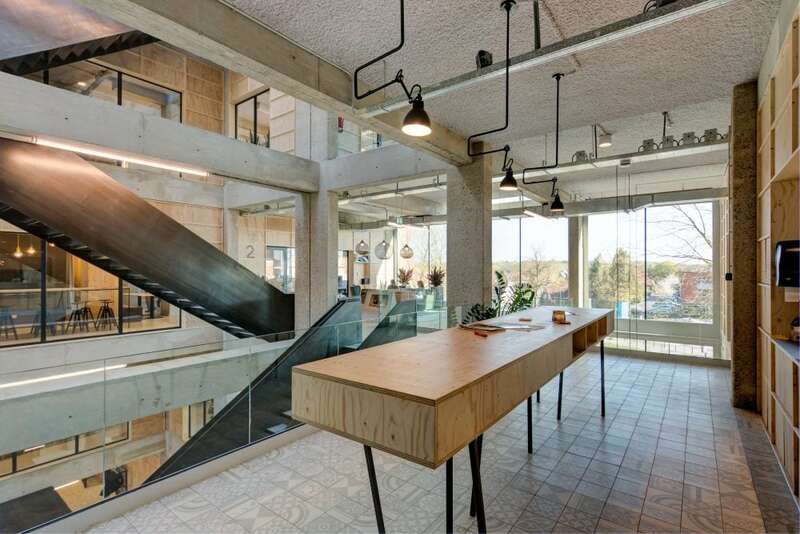 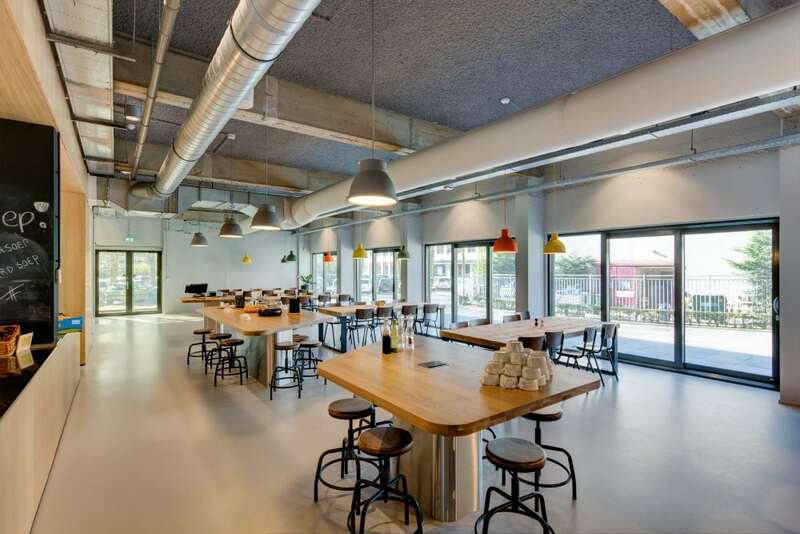 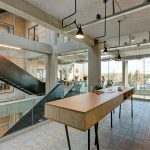 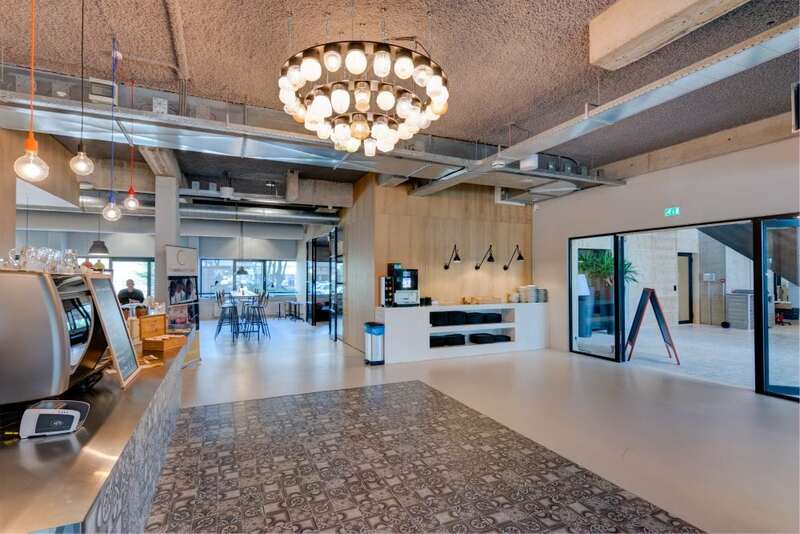 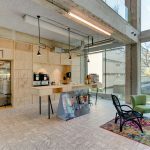 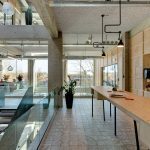 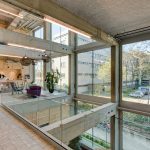 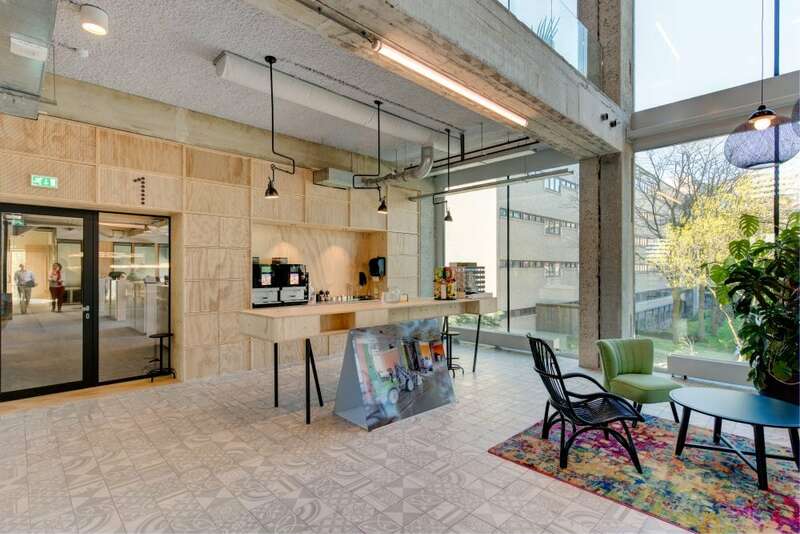 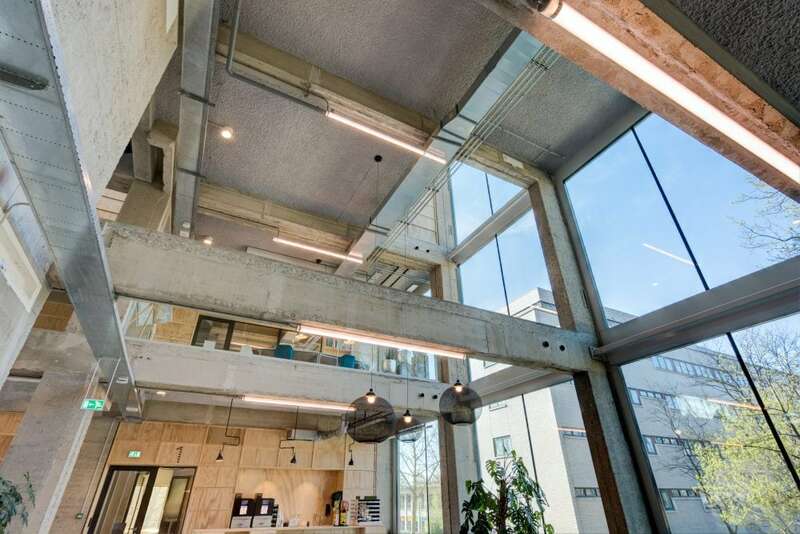 Studio Nine Dots is responsible for the stunning transformation of an existing building into the modern Alliance Offices in Hilversum, The Netherlands. 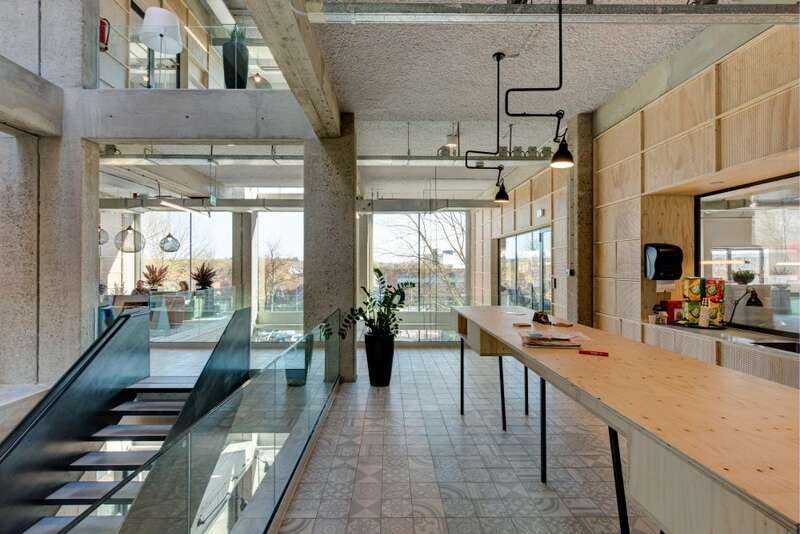 The open office design incorporates elements from the warehouse trend so prevalent in design currently. 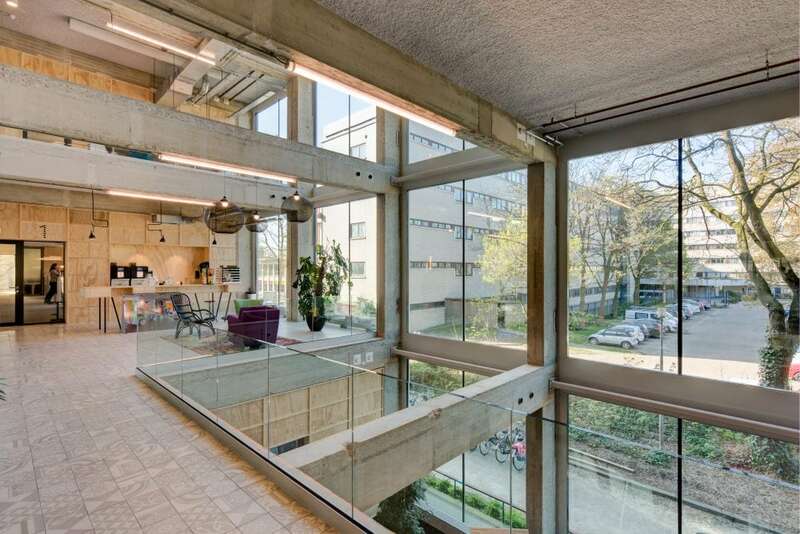 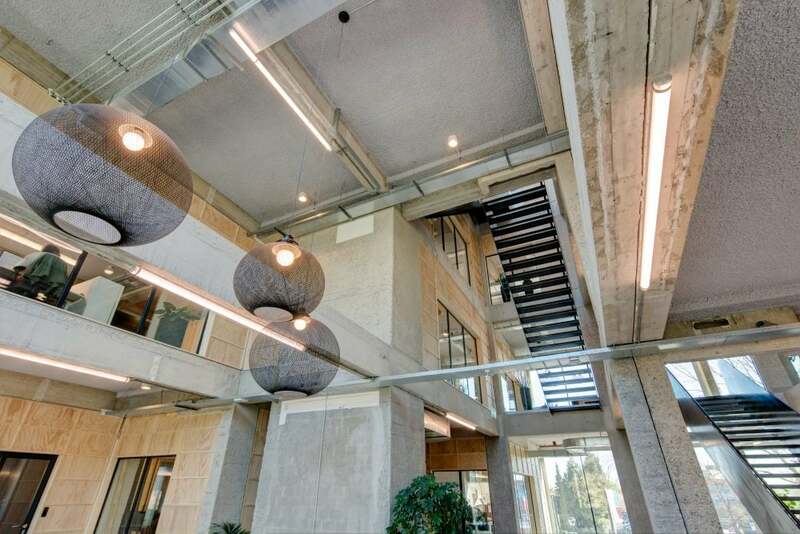 The exposed duct and concrete beams work in perfect harmony with the modern fixtures and furnishings. 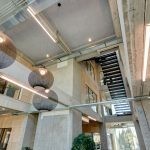 The juxtaposition of industrial and natural materials created a perfect opportunity to utilize K-13 Thermal & Acoustical Finish for both aesthetic and acoustic benefits.